Background: I started running when I was five. I ran for Chula Vista High School and in college for CSUSM. I competed in NAIA Cross Country Nationals for CSUSM under the coaching of Steve Scott. Racing Competitively Since: First racing competition when I was five. 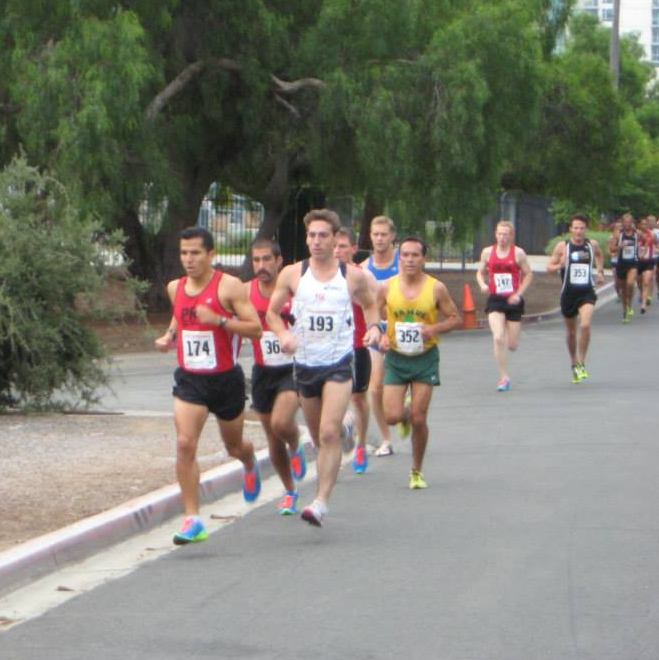 Highlights: 1st place at the Bonita Stampede 8k 2013 with a 26:31 time. PRT Rookie of the Year 2013. Words to Live By: “the harder you work the luckier you will get"
Why I Choose to Run for PRT: I enjoy racing with my fellow PRT teammates. Very motivated and willing to push each other. We help each other in the races and in practice. Fun people to be around. This is TEAM. Favorite PRT memory: Every race is a fun exciting memory.